Some great illustrations in this blog. Treating sinus infections has always been a difficult problem. 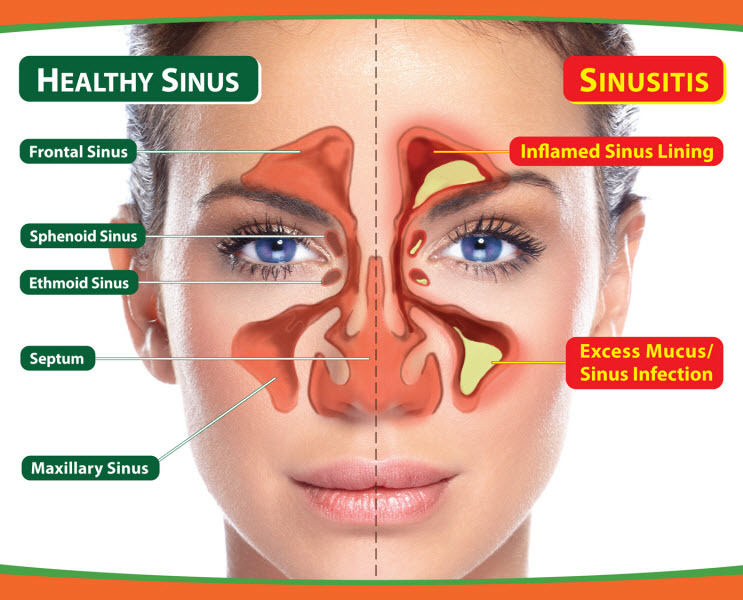 Sinusitis afflicts millions of Americans each year. According to the National Institute of Allergy and Infectious Diseases, sinusitis “simply means your sinuses are inflamed, red and swollen, because of an infection or another problem.” Sinusitis can be very irritating to deal with and women are more likely than men to be diagnosed with the infection. Sinusitis affects people from the very young to the very old. 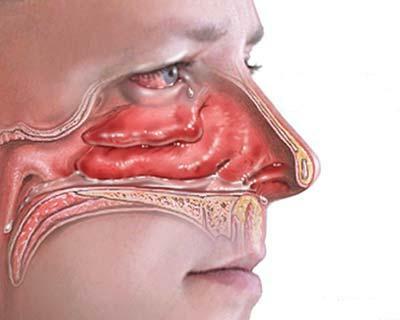 Acute sinusitis can last up to 4 weeks and chronic sinusitis can last more than 12 weeks and persist for months or years after the initial symptoms. The illness can be caused by several factors including viruses, bacteria, allergies, airborne chemicals and a weak immune system. 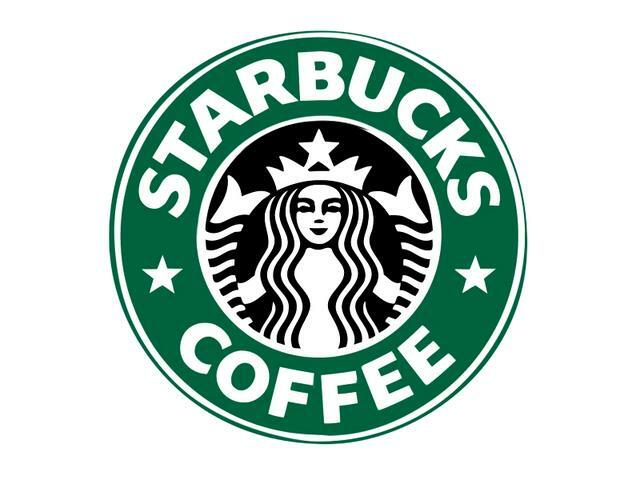 Does it Help to Irrigate My Sinuses? Chronic RhinoSinusitis (CRS) is a source of increased medical costs and decreased quality of life for many adult & pediatric patients each year. Evidence-based, clinical practice guidelines include recommendations for the use of nasal saline irrigation (NSI) as a significant treatment component or effective adjunct therapy for CRS; however, the research reviewed did not clearly support or refute it. Currently, saline irrigations are being used as a treatment for CRS and you can find many formulations and products OTC. Until further research is conducted to refute this practice, this treatment modality provides a safe and economically astute alternative to the costly conventional treatments available for CRS. Background. Chronic rhinosinusitis (CRS) is a common disorder that affects 14% of the adult population of the United States and has been estimated to account for more than $3 billion in healthcare expenditures. Yes, that’s 3 BILLION! Furthermore, CRS, typically caused by a virus, is frequently treated with antibiotics, contributing to the growing problem of antibiotic resistance. For this reason, both patients and healthcare providers have increasingly turned to alternative therapies including nasal saline irrigation. For this study, the researchers defined CRS as symptoms persisting for 12 weeks or longer. The purpose of this study was to examine the evidence for efficacy of this therapy. Methodology. Numerous databases, including Cochrane, MEDLINE, and CINAHL, were searched for studies that answered the research question: In adult primary care patients, does the use of saline irrigations (compared with no treatment) improve the symptoms of CRS? Overall a good search of the literature on this topic. Unfortunately, no big studies are available to compare. Results. The investigators concluded that the evidence for efficacy of saline irrigations was contradictory. No conclusion could be drawn as to type of solution (isotonic, hypotonic, or hypertonic) that produced consistently positive results or was best tolerated, which may indicate that patient preference is the best indication of appropriate solution. No serious adverse effects were found and the treatment appeared to pose no significant health risks, but data were insufficient to support a conclusion that irrigation was of some benefit with minimal side effects. Not everyone will agree on the use of nasal irrigation. Clearly, an alternative to the widespread use of antibiotics to treat this predominantly viral condition must be found. The investigators do an admirable job of synthesizing the literature and examining the limited data available in support of this cheap and safe therapy. Saline irrigation fulfills the mandate to “first, do no harm,” so it should be included in the armamentarium of therapies for this common condition.